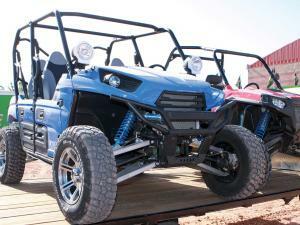 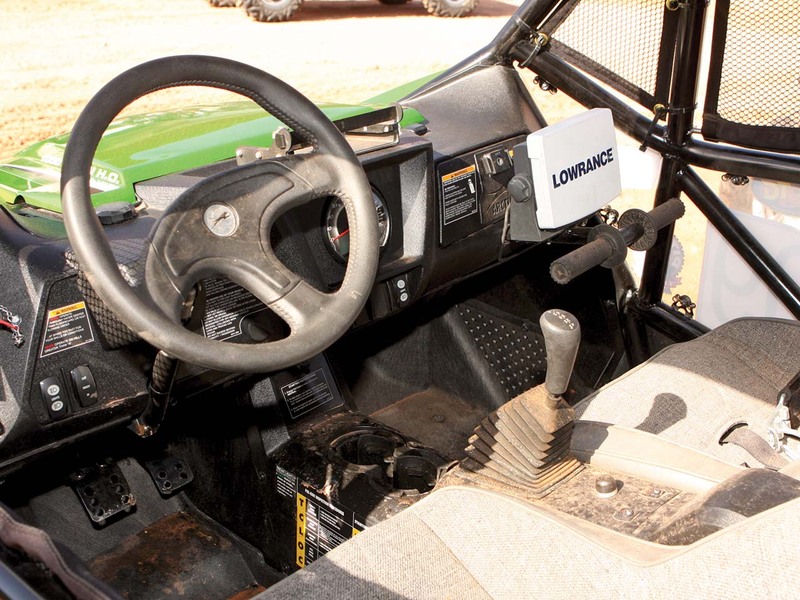 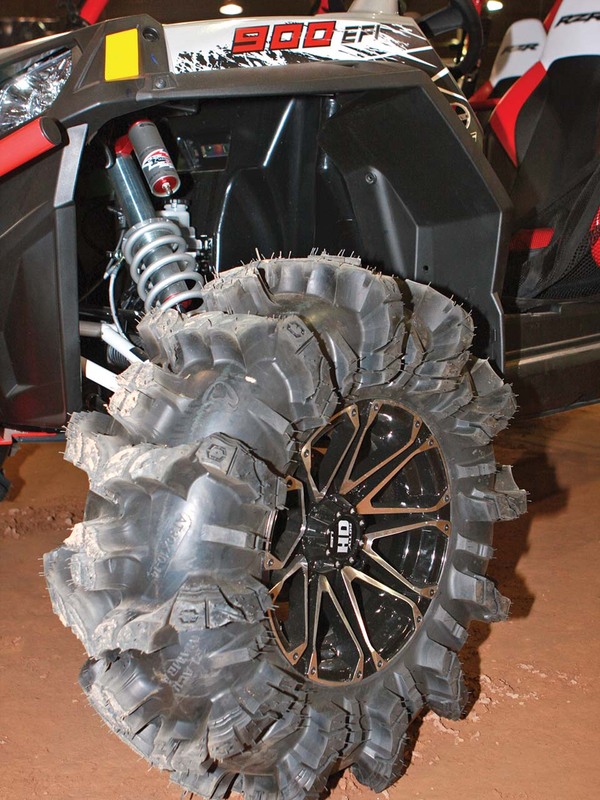 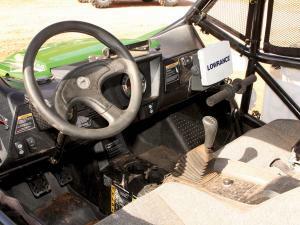 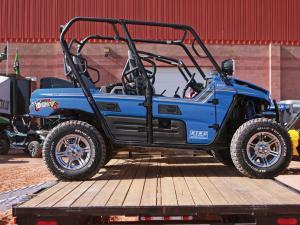 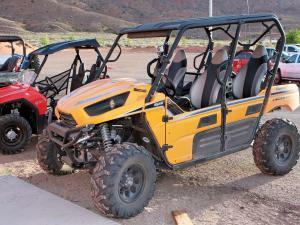 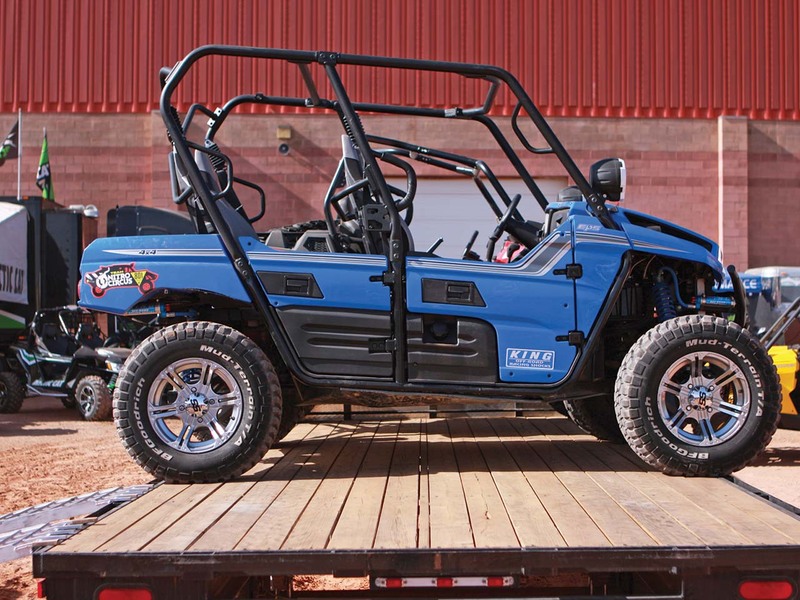 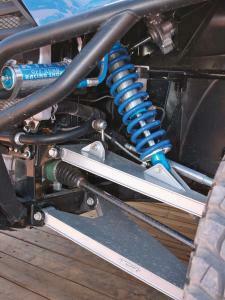 No type of vehicle in the off-road world has enjoyed such enormous growth in the past few years as Side-by-Side’s. 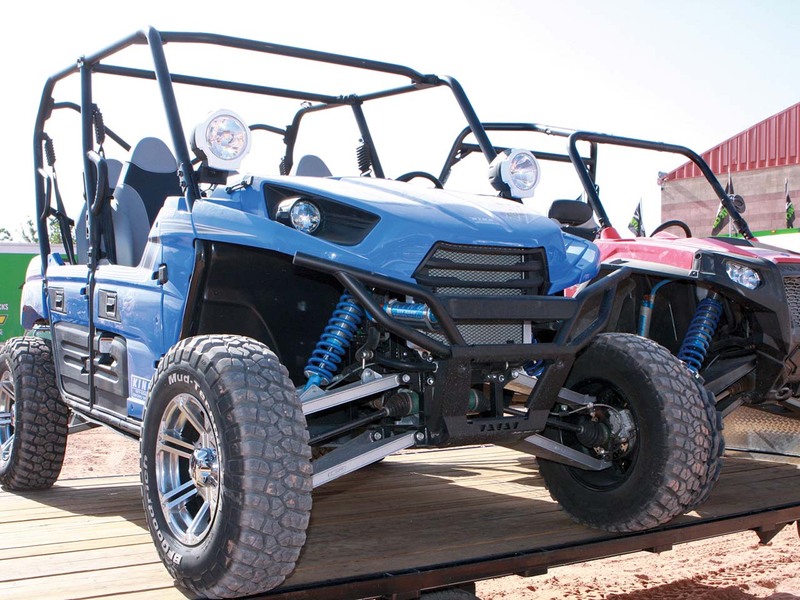 While they were strictly utilitarian vehicles at first many people started using them for weekend recreation as well, and the manufacturers soon followed with sport oriented models. Today there are so many Side x Sides on the trail there are even ride events dedicated to them, and one of the best is in Moab, Utah. 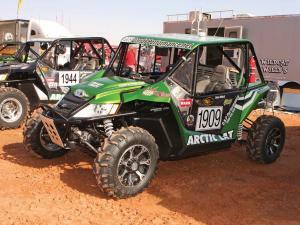 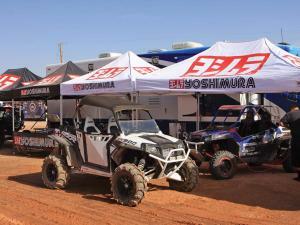 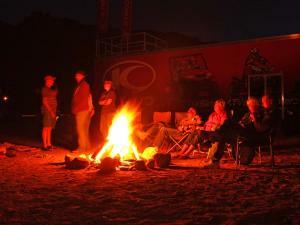 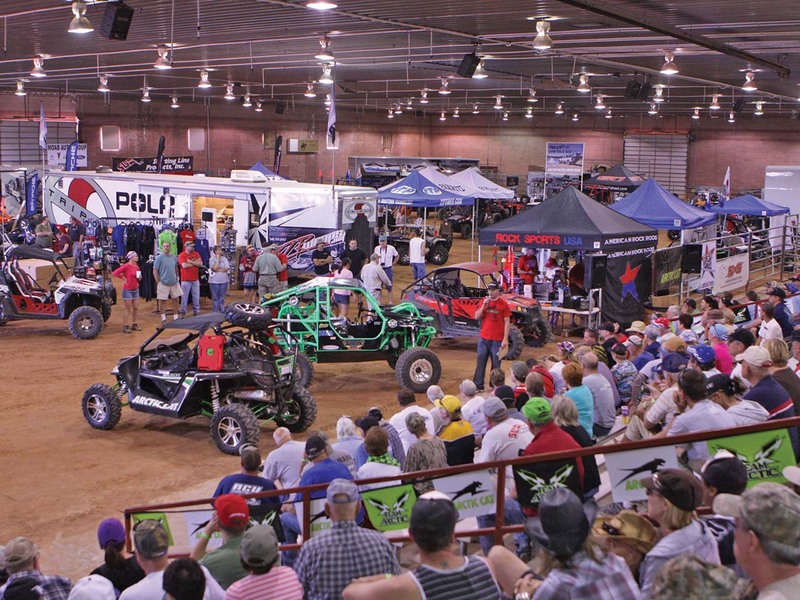 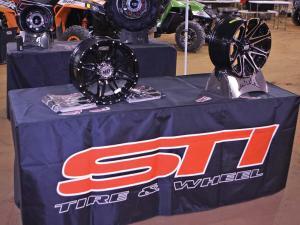 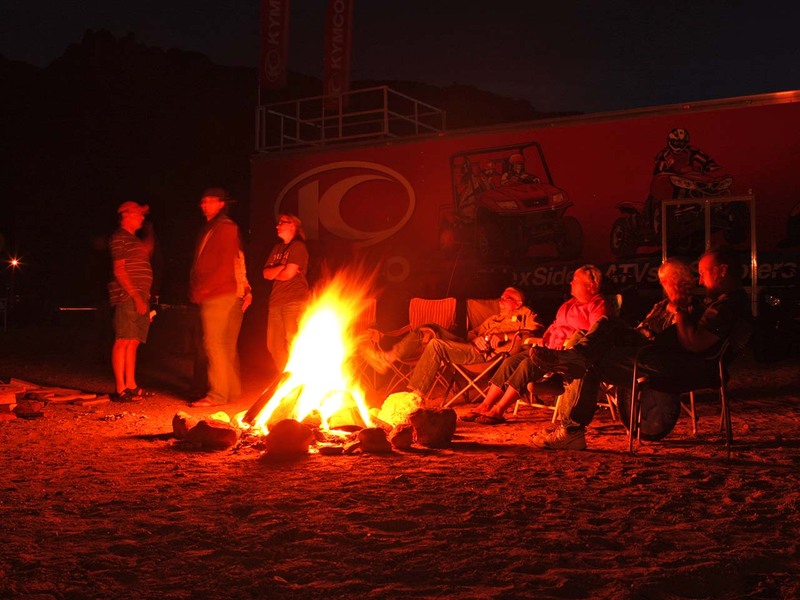 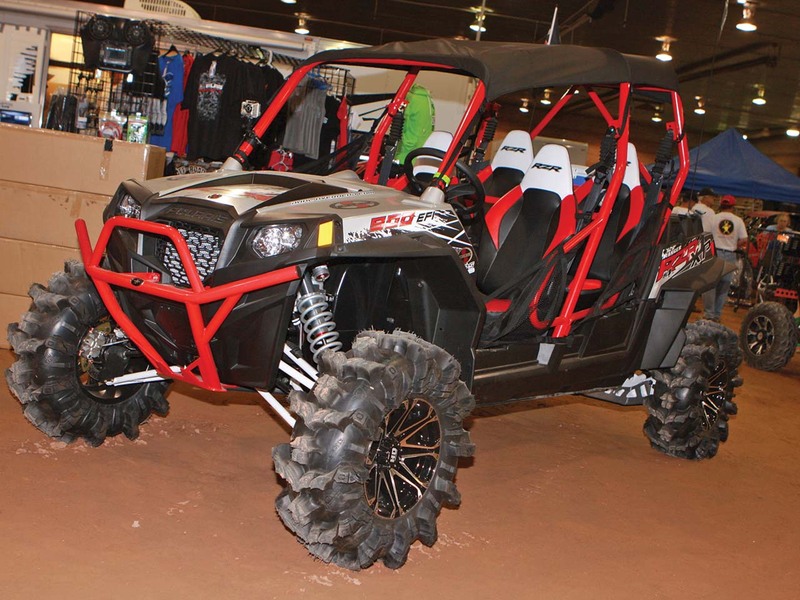 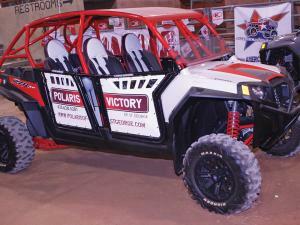 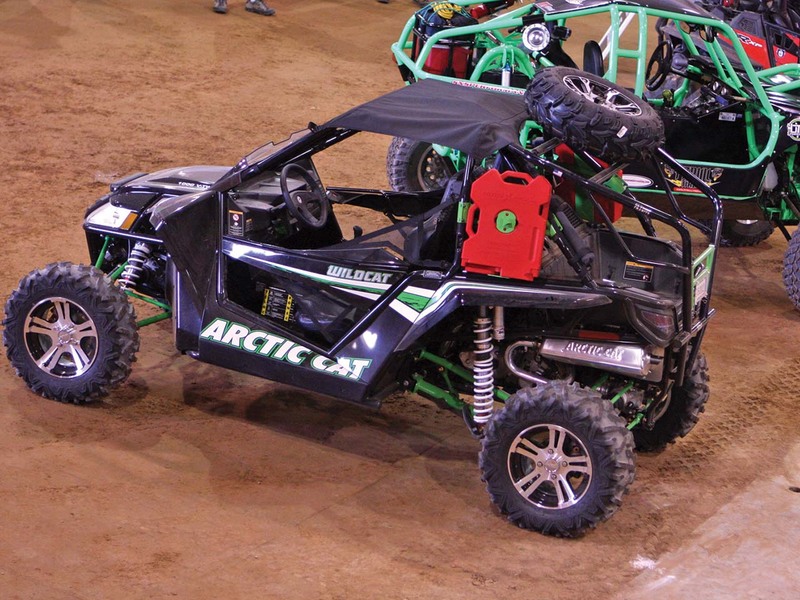 This year’s Rally on the Rocks by Arctic Cat was a celebration of all things off-road. 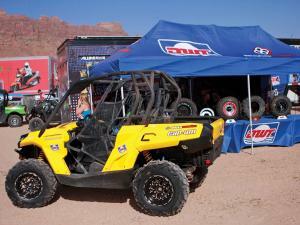 There were many vendors both selling parts and showing new products, test ride and new model displays from manufacturers such as Arctic Cat (title sponsor to the event) KYMCO, and Can-Am, and hundreds of machines to look at and sometimes drool over. 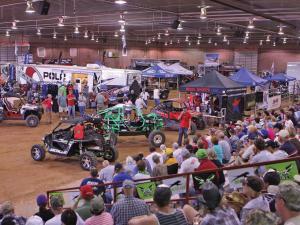 One thing we quickly noticed though is there are almost no stock machines at these events. 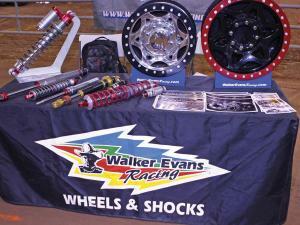 It seems every person in attendance rolled in with their own Side x Side decked out in custom parts. 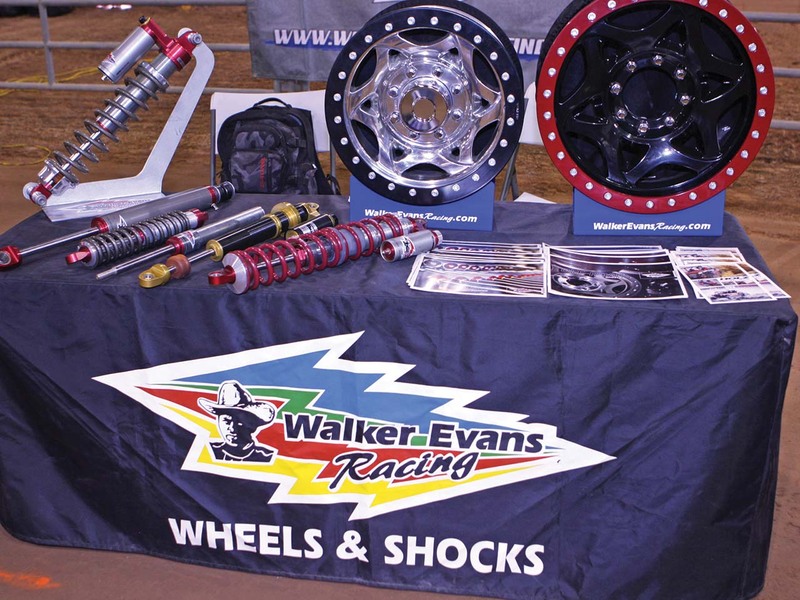 While some opted for just a few modifications like wheels, tires, and a good set of skid plates, many vehicles sported meticulous detail work and gorgeous, museum quality paint jobs along with high horsepower engines. 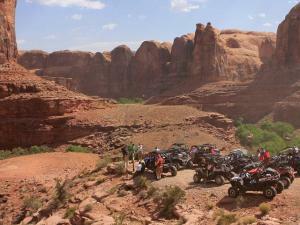 We began to wonder if many had ever been on a trail! 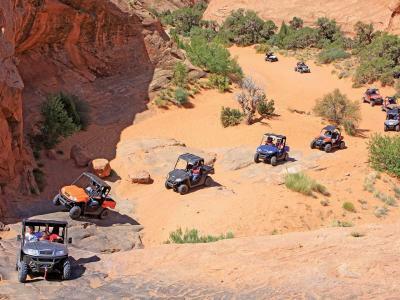 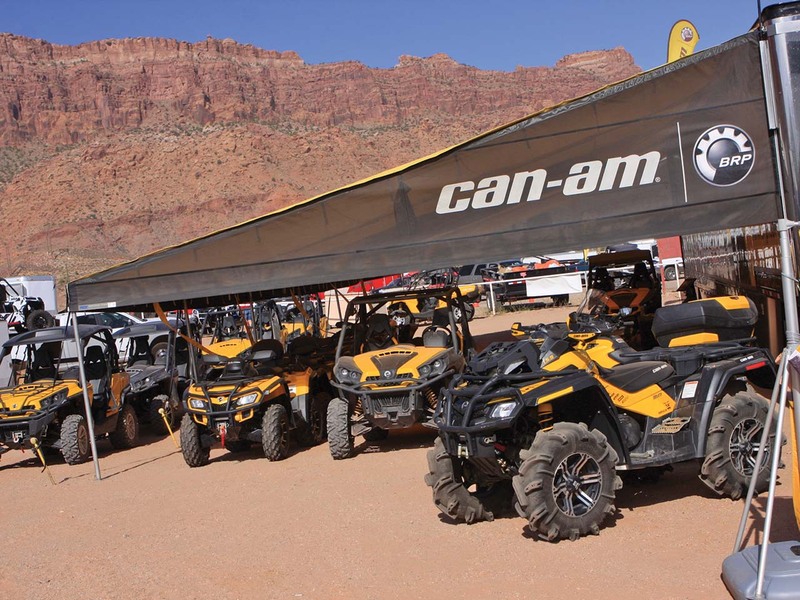 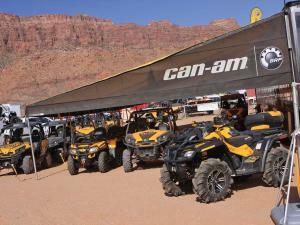 Each morning of the event though, trail groups were organized and proud owners would head into the back-country of Moab to test themselves and their machines on some of the toughest terrain in the West. 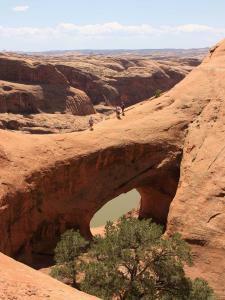 Rather than describe everything we found, we’ll give you a pictorial preview instead.